The Ancient Kition archaeological site in Cyprus is the gift that keeps on giving, as infrastructure works on the sewerage system in the wider Larnaca region have brought to light a multitude of finds that hold significant historical value. Aside from individual objects dozens of ancient carved tombs dating back from the Classical to the Roman period were found on Griva Digeni Street (Drosia district) and on Agisilaou, Aeolou, Gordiou Desmou, Liperti and Kultur streets. “It is the first time that a mosaic has been located in Cyprus with such subject matter,” Head of Antiquities Department, Dr Marina Ieronymidou-Solomidou said revealing that there are five panels, two of which have been totally uncovered and another three in part. 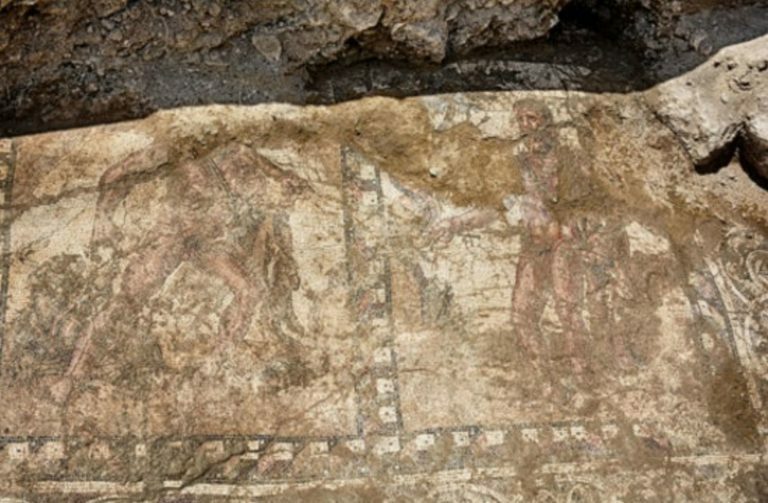 Since a rather unique Roman mosaic was unearthed in 2016, measuring 19×4.60 m which depicted the Labours of Hercules, archaeologists have been trying to overcome “some practical issues since the mosaic extends diagonally towards apartment blocks as well as a private residence”. 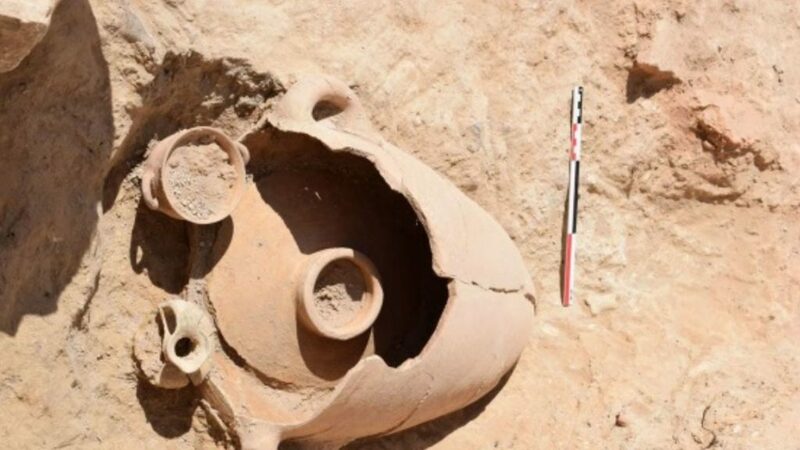 The finds include clay pots, tools made from metal and bones, jewellery, faience artefacts and imported raw materials such as semiprecious stones and gold jewellery. Each fine is being examined by experts in each category of material and also in groups of findings, to determine as accurately as possible the historical conditions. According to the Cyprus Department of Antiquities, “it is not surprising that archaeological remains of great historical value are still being discovered, since it is widely known that under the modern city of Larnaca there exist layers of the place’s older history”, initially inhabited in the Early Bronze Age at the end of the 3rd millennium B.C. 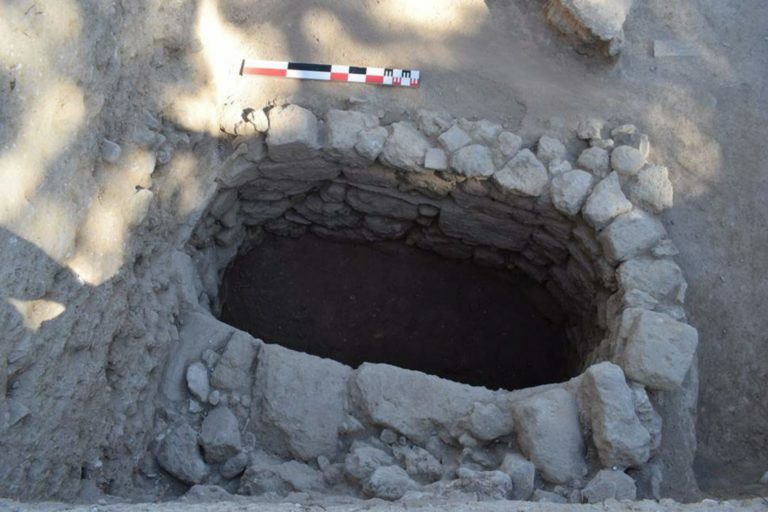 Regarding disruptions in Larnaca’s sewerage system, the Department of Antiquities will in cooperation with the Larnaca Sewerage Board altering the route of sewerage pipes where necessary, so that archaeological finds that cannot be moved, are not harmed and remain accessible for research in the future.